Ron was saved at the age of 14 at a Family Bible Camp meeting. Amy was saved as a young girl in Bridgeport, MI. Ron and Amy went to Ambassador Baptist College where Amy graduated with a Music degree. Ron furthered his education at Southern Indiana Baptist College where he received his Bachelor's, Master's, and Doctorate. Ron and Amy and their two children, Patience Joy and Faithful Truth, are based out of Agape Baptist Church in Stockton, MO. Bro. 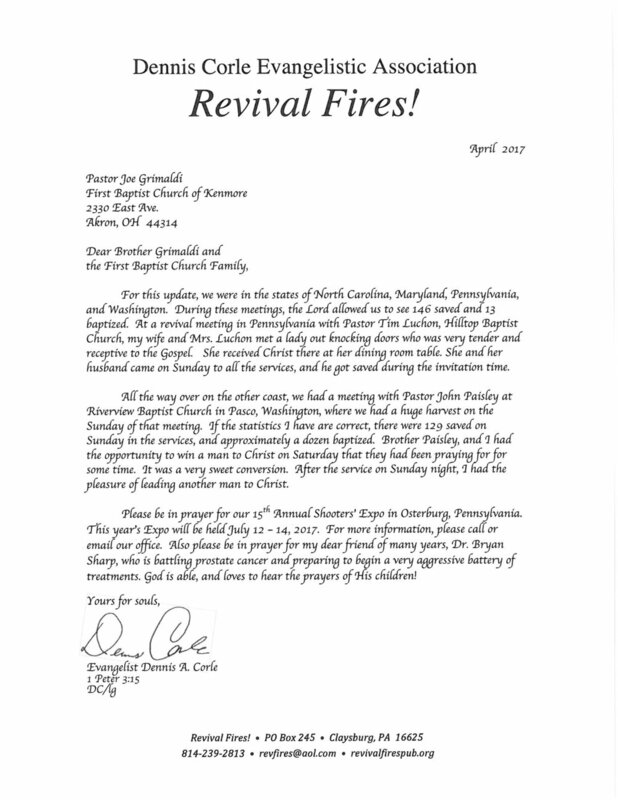 Oliver is a full time Evangelist and member of the Landmark Baptist Church in Parkersburg, WV. He is also the General Manager of WVGV (West Virginia's Gospel Voice) FM West Union, WV. The goal of WVGV and Bro. Oliver is to meet the spiritual needs of the citizens of West Union and surrounding communities as well as around the nation and even the world via internet. He is a fiery and passionate preacher with a heart for souls! Evangelist Tim Booth has been in the ministry for over 35 years. He is an evangelist with a widespread ministry here in the US. He has a passion for the next generation to have grit, to be able to stand as God commanded us to stand, and to be spiritual leaders. He has said… “Today we are facing a famine of real manhood and leadership. It is unpopular to be competitive, aggressive, and assertive if you are a man, so we are plagued with people void of integrity, moral example, and courage of convictions in positions of leadership. As a result, our homes, churches, and nation have suffered." Bro Booth has dedicated his life to reaching another generation for God. Bro. Corle is one of the premier evangelists in America today. God has blessed him with a nationwide ministry that includes holding almost 100 meetings a year in churches across the United States. 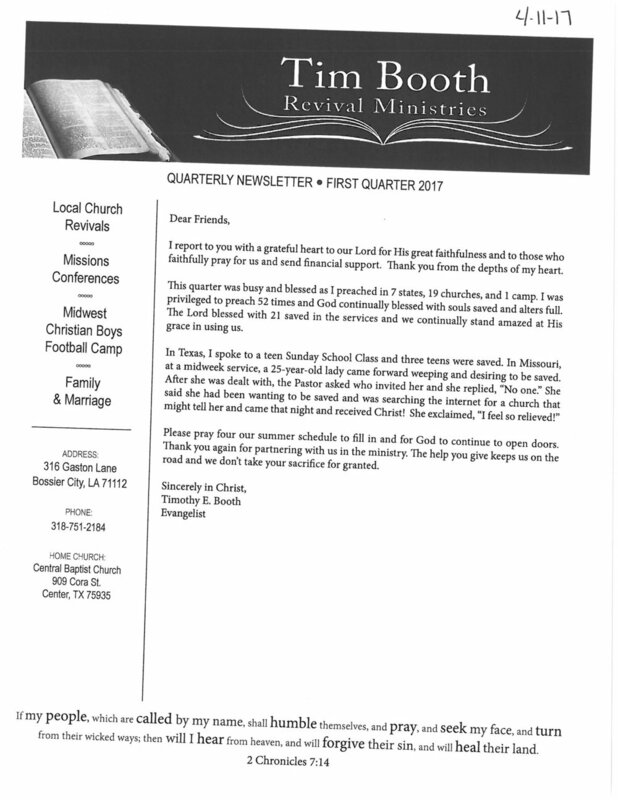 He administrates the Revival Fires newspaper and website as well as a correspondence Bible school for those that feel God's calling into ministry. Bro. Corle has written numerous books that have been a help to tens of thousands of Christians. If you have the opportunity to attend the annual Shooter's Expo that he puts on at his property in Pennsylvania, you will not be disappointed. Likewise, you would be well served by taking every opportunity you can to hear this man preach. 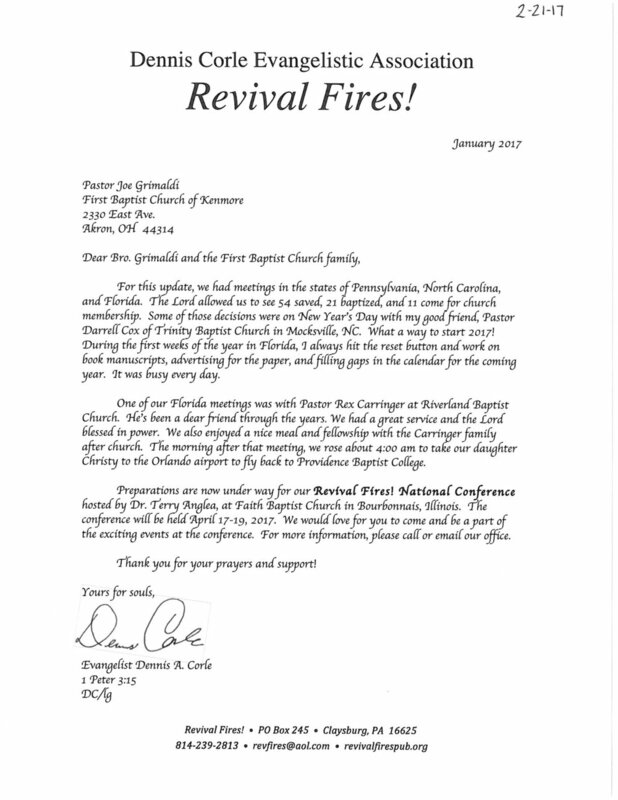 Evangelist Lou DiFilippantonio is a member of the High Street Baptist Church in Columbus, Ohio. While Bro. Lou has a great burden for revival in America and preaches nationwide weekly, he also has given himself to help Golden Land Baptist Missions raise funds for church-planting in Myanmar. He and his wife have been in the full-time gospel ministry for many years and have a tremendous heart to reach souls wherever they find them. Bro. Taylor has been a faithful evangelist for decades. He has stood firm and strong for the old time way through his ministry of preaching and in his capacity as the director of Mount Salem Revival Grounds. Many young men and women from all of the Mid East have been challenged in their relationship with God through his vision for Mount Salem. He has preached thousands upon thousands of times all over the country and held dozens of God Save America Conferences. Pray for Bro. Taylor and his life long work for the revival of America! 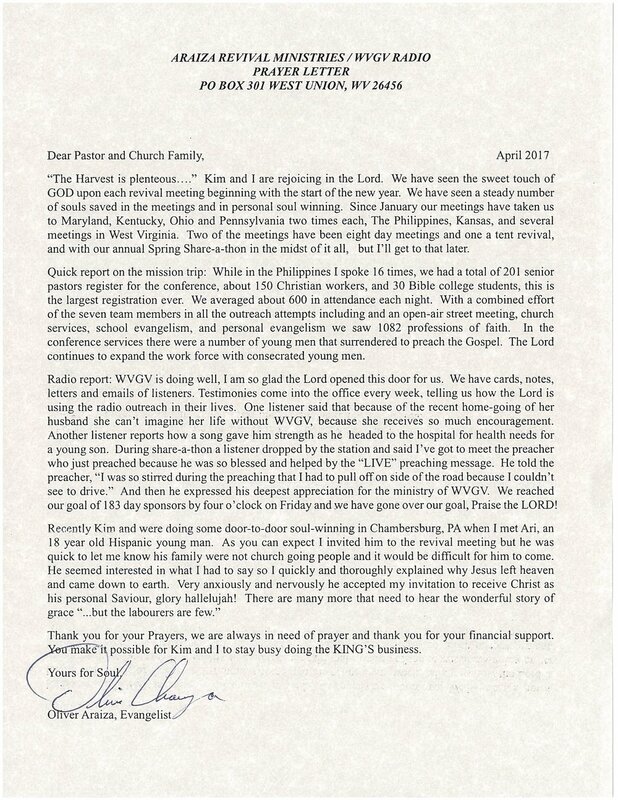 FBC Kenmore also supports two Evangelists that we cannot feature on this page due to a ministry in a sensitive area of the world. Please keep them in your prayers as well.